Polycarpaea corymbosa is one of the plants cited as ‘Parpata’ in Ayurvedic literature and indicated for boils, inflammatory swellings, and ulcers. 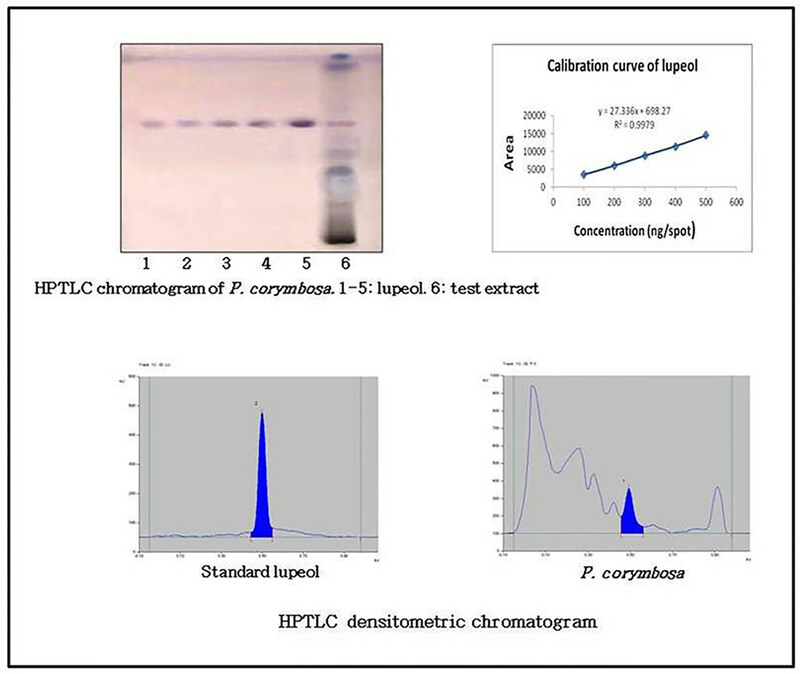 The present study is an attempt to generate and encompass the data of physical parameters for ascertaining the identification and develop a validated HPTLC method for quantification of lupeol in P. corymbosa. The whole plant was studied for establishing pharmacognostic standards including macro and microscopical characters, physico-chemical analysis and quantification lupeol by HPTLC method. It is a small, much branched, erect or spreading herb with linear leaf and silvery-white cymes. 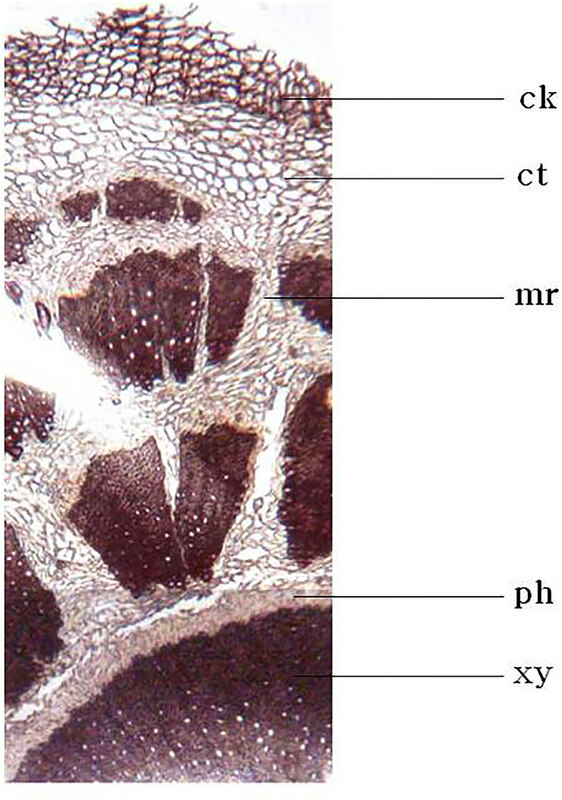 Microscopically root can be connoted by continuous or discontinuous concentric rings of xylem and phloem; stem by papillose epidermis with multicellular branched collapsed and glandular trichomes, sclerenchymatous pericycle and hollow pith; and leaf by numerous collateral meristele enclosed within parenchymatous bundle sheath. Further studies evinced that brunt of heavy metal and microbial load in plant material was within permissible limits. Flavonoids, phenolics and saponins were found be major components. HPTLC method was developed for quantification of lupeol using precoated silica gel plates as a stationary phase, and toluene: methanol (9.4: 0.6) as a mobile phase and scanning the plate at 545 nm. The information demonstrated on pharmacognostic parameters and validated HPTLC method for estimation of lupeol for Polycarpaea corymbosa, would aid as coherent measures for its assessment. Polycarpaea corymbosa is spreading herb with linear leaf and silvery-white cymes. It is used in traditional system of medicine for treatment of boils and inflammatory swellings. The study was aimed to generate the data of physical parameters for ascertaining the identification and develop a validated HPTLC method for quantification of lupeol in P. corymbosa using toluene: methanol (9.4: 0.6) as a mobile phase. The information exhibited on pharmacognostic parameters and validated HPTLC method for estimation of lupeol for Polycarpaea corymbosa, would serve as articulate measures for its assessment. Polycarpaea corymbosa Lam. (Caryophyllaceae) is commonly known as ‘jinapanano oghrad’ or ‘parpata’ in Gujarat.1,2 It is an erect, annual, slender dichotomously branched herb distributed in fields, waste places and sandy river banks almost throughout India during winter.2,3 The plant is highly valued in traditional medicine in the treatment of urinary calculi, boils, inflammatory swellings, and ulcers.4-6 In Pudukotah, the herb is administered both externally and internally as a remedy for the bites from venomous reptiles and animals, and given with molasses in the form of a pill in jaundice. In Malaya, the drug is used as demulcent and astringent.6 In literature the plant is recorded to possess hepatoprotective, cytotoxic, antioxidant and antiradical activities.7-9 Also, it has been documented to contain camelliagenin A, A1-barrigenol, stigmastanol, apoanagallosaponin IV, n-hexadecanoic acid and 5-hydroxymethyl furfural along with some phenols and flavanoids.9-11 Lupeol, a triterpenoid, is reported to be having multiple biological actions noticeably anti-inflammatory, hepatoprotective, antiprotozoal, antimicrobial, chemoproptective etc.12-14 In the present study, we here propose data for development of a comprehensive monograph, a requisite for quality assessment. Further, the HPTLC method for estimation of lupeol has been validated for linearity, interday and intraday precision, repeatability, accuracy, specificity, limit of detection and limit of quantification. Fresh, fully-grown, flowering plants of P. corymbosa were collected from Tirunelveli, Tamilnadu. 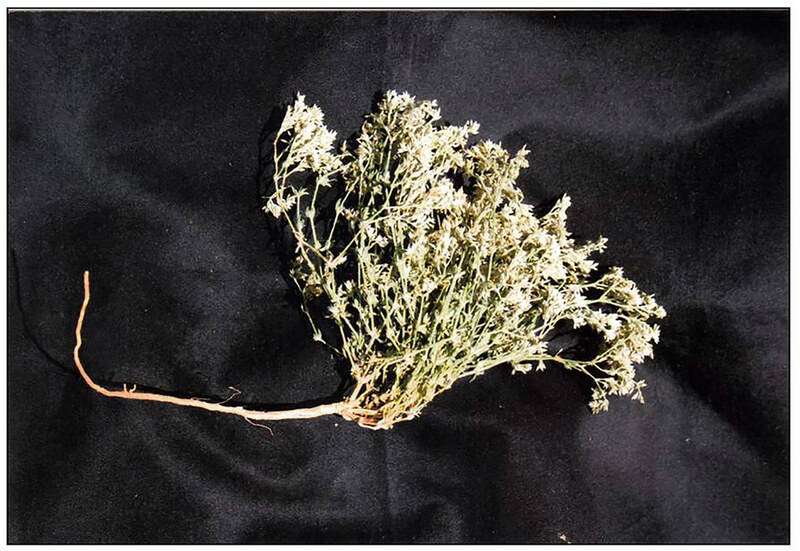 The plants collected were authenticated by taxonomist of Gujarat University, Ahmedabad, Gujarat. Voucher specimen (LM 633) was deposited at the Department of the authors. The plant material was cleaned, dried, powdered to 60 # and used for the present study. Standard lupeol was procured from Sigma Aldrich, India. All the solvents used were of chromatography grade and other chemicals used were of analytical (AR) grade. The whole plant was studied for morphological characters. 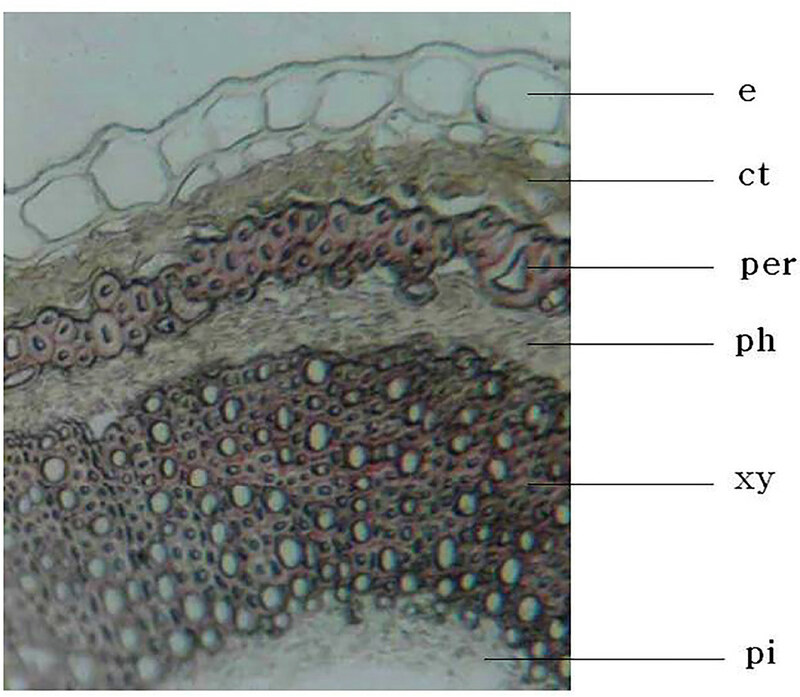 Microscopical study was performed for different plant parts (free hand transverse sections) and powdered material of entire plant. Heavy metals analysis for lead (Pb), mercury (Hg) and arsenic (As) was carried out for powdered herb. Their concentrations were determined by Inductively Coupled Plasma Optical Emission Spectrometry (Perkin Elmer-Optima 3300 RL). The microbiological parameters like total plate count, yeast and mould count, E. coli, Staphylococcus aureus and Salmonella spp. were investigated in powdered herb. Results obtained were compared with limits for each microorganism. Phytochemical screening was performed16, and flavonoids, phenolics17and saponins18 were estimated. HPTLC was performed on 10 cm × 10 cm precoated silica gel 60 F254 plates (E. Merck, Germany). Before chromatography the plates were pre-washed by methanol and activated at 60°C for 5 min. Samples were applied to the plates as bands 6 mm wide and 12.2 mm apart using Camag Linomat V applicator (Muttenz, Switzerland) fitted with a 100 microlitre syringe (Camag, Switzerland). Linear ascending development was performed in Camag twin-trough glass chamber (10 × 10 cm) with mobile phase vapour [toluene: methanol, 9.4: 0.6] at room temperature (25±2°C). Plate was dried and derivatized using anisaldehyde sulfuric acid reagent in CAMAG derivatization chamber followed by heating at 110°C using Camag TLC plate heater. It was scanned in Camag TLC scanner using WinCATS software (version 1.4.3.6336) in absorption mode at 545 nm with slit dimensions 6.00 × 0.45 mm. The scanning speed was 20 mm/sec and source of radiation tungsten lamp. A stock solution (100 μg ml−1) of lupeol was prepared by dissolving accurately weighed 1 mg in 10 ml methanol in a volumetric flask. Standard solutions for calibration were prepared by dilution of the stock solution with methanol; the concentrations were such that amounts of lupeol between 100-500 ng. The correlation coefficient, slope intercepts and regression equation were also calculated to provide mathematical estimate degree of linearity. A calibration curve was derived by plotting peak area (Y axis) versus concentration (X axis). 10 mg of Ext A was dissolved in 2 ml methanol in a volumetric flask. 30 μl of this solution was used for estimation lupeol. The peak area values of standards and sample were used to calculate the amount of lupeol in the plant. Polycarpaea corymbosa is an annual, erect, 10-40 cm tall, branched, and slender herb. Morphologically it can be characterized by its simple, whorled, sessile, linear leaves, with entire margin and mucronate apex; numerous slender, erect or spreading, pubescent stems; slender and woody roots with thin wiry rootlets and silvery-white, crowded, terminal cymes (Figure 1). Herb of Polycarpaea corymbosa Lam. Microscopical examination (TS) revealed that a suberized cork (ck) made up of 5-7 layers of tangentially elongated cells; narrow thin walled parenchymatous cortex (ct); phloem (ph) traversed with clefts of medullary rays (mr); lignified radially arranged xylem (xy) consisting of vessels and thick walled fibres (Figure 2) are structural features of root. Further, a layer of tangentially elongated, thick walled papillose epidermis (e) bearing multi-cellular branched and collapsed covering and glandular trichomes with unicellular head and stalk; cortex (ct) with compressed chlorenchyma; scelerenchymatous pericycle (per) associated with stone cells; stele constituted of narrow band of phloem (ph) and central xylem (xy) wide, parenchymatous, hollow pith (pi) (Figure 3) are distinctive features of stem. 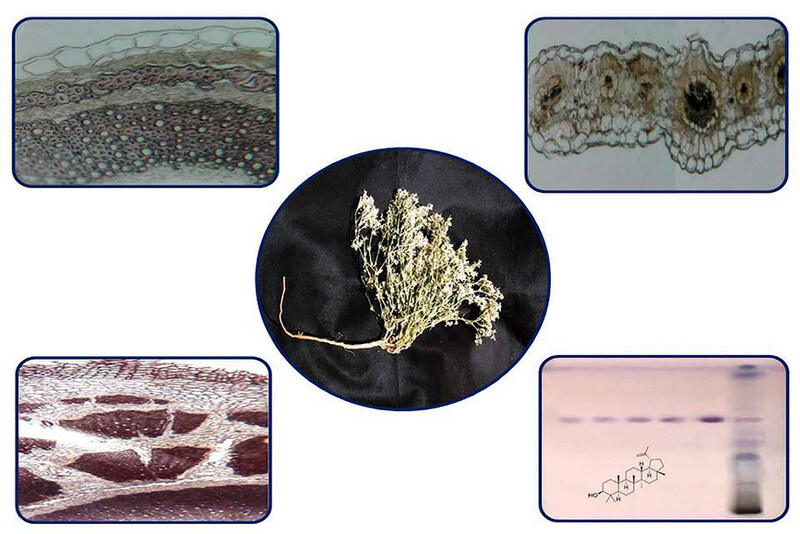 Moreover, the presence simple covering multicellular branched and collapsed trichomes in papillose epidermis (e); a line of collateral meristele (mer) enclosed within parenchymatous bundle sheath (bs), central one being associated with fibres on lower side; narrow spongy parenchymatous tissue embedded with rosettes of calcium oxalate and tanniniferous substances (Figure 4) are characteristic of leaf. 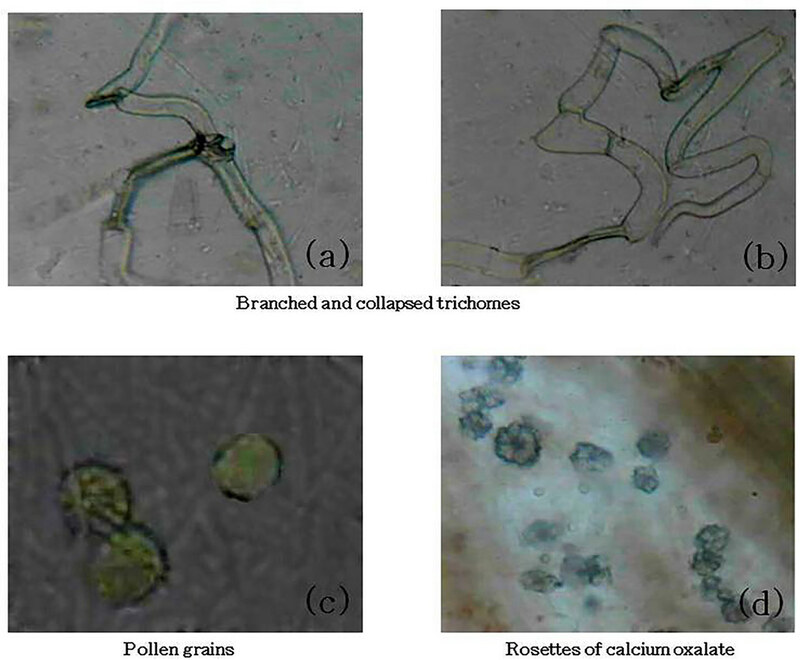 Presence of branched and collapsed trichomes (a and b), spherical pollen grains with smooth exine (c) and rosettes of calcium oxalate in epidermis of leaf (d) (Figure 5) are selected representative lineaments of powdered plant material. TS of P. corymbosa root. TS of P. corymbosa stem. TS of P. corymbosa leaf. Powder characters of P. corymbosa whole plant. All the heavy metals are found within permissible limits as per WHO guidelines.21 The results have been summarized in Table 1. [i] 1.BDL: Below detection limit, ppm: parts per million Instrument Detection Limits: Pb: 0.0420 ppm; Hg: 0.0610 ppm and As: <0.0530 ppm. The plant material is free of encumbrance of Salmonella spp. and microbial load is within the limits specified by WHO.22 The results have been mentioned in Table 2. Data of Physico-chemical parameters including ash and extractive values are given in Table 3. Low acid insoluble ash value yielded confirmed presence of more amount of inorganic matter in the form of rosettes. The plant showed higher water-soluble components than alcohol soluble components. Saponins, flavonoids and phenolics are among the major compounds present in the plant (Table 4). In Co-TLC studies of extract with the reference standard, lupeol was discernable at Rf 0.51 (Figure 6). Further, in HPTLC method developed, the same spots in both the tracks (extract and reference standard) showed superimposable UV spectra approving the identity. The content of lupeol was found to be 0.011-0.013% w/w. The LOD and LOQ, for signal-to-noise ratios were 3:1 and 10:1, respectively. The particulars of validation parameters are given in Table 5. Summary of validation parameters of lupeol. This is the first report on the Pharmacognostic study expounded with HPTLC analysis for Polycarpaea corymbosa. The ensemble of data on standard parameters is useful for the endorsement of quality control and for documenting a monograph on this crude drug. The proposed HPTLC method for the estimation of lupeol is found to be precise, accurate and selective. It does not suffer any positive or negative interference due to other common components present in the extract. Thus, it can be applied to obtain the necessary authentication of P. corymbosa routinely, with good reliability and reproducibility. The present study proffers, an expedient tool to corroborate the drug through good constancy by addressing the realistic issue of qualitative analysis of the plant material in terms of botanical identification and quantification of lupeol by HPTLC. 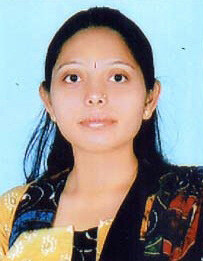 Ms. Karuna Modi, Assistant professor, Department of Pharmacognosy, L. M. College of Pharmacy, Navrangpura, Ahmedabad: 380 009, India. 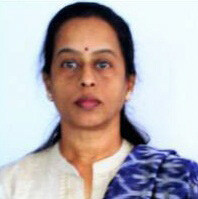 Dr. Mamta Shah, Associate Professor and Head, Department of Pharmacognosy, L. M. College of Pharmacy, Navrangpura, Ahmedabad: 380 009, India. ‹ Pharmacognostic Evaluation of Leaf and Stem Wood Extracts of Artocarpus hirsutus Lam. Characterization and Distribution of Flavonoids from Flowers in Different Horticultural Types of Begonia. Pharmacognostic Evaluation of Leaf and Stem Wood Extracts of Artocarpus hirsutus Lam. Chemo-profiling, Antioxidant potential and Ionomic analysis of Cichorium intybus L.